This past February, in New Plymouth, a city on the north island of New Zealand, a judge ordered a young girl a ward of the court so that she could change her name. Her name: “Talula does the Hula from Hawaii” Officials in the same town succeeded in blocking names such as “Keenan Got Lucy” and “Yeah Detroit”, “Fat Boy” twin names “Fish and Chips”, but allowed “Number 16 Bus Stop” and “Midnight Chardonnay” and twin names “Benson and Hedges”. We’ve come a long way from the Old Testament practice of attaching names because of their meaning. Isaiah 8:18 (NASB) Behold, I and the children whom the Lord has given me are for signs and wonders in Israel from the Lord of hosts, who dwells on Mount Zion. Their names were signs that judgment was coming quickly, and any Salvation would be through Jehovah, not with any alliance with Assyria, but that through the judgment, God would be with them, and a remnant will return. But hundreds of years before His birth, Isaiah had a prophetic vision of this child in Isaiah 9. Just three years ago my wife and I took a trip to St Croix. We sat in a beach side restaurant and watched as a storm approached from the sea. That evening the storm grew worse as it seemed the voice of God was upon the waters. 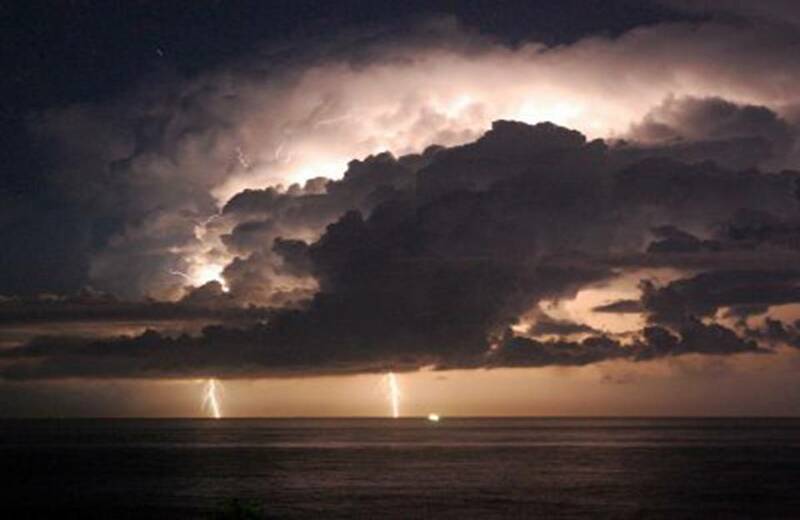 I beheld the flash of His lightning’s and listened to the glory of His thunders. The sea seemed to be at war with the thundering, trying to drown out the voice of God with the mighty oceans roar. It was a dark night, and dark clouds covered the sky, but far away on the distant horizon, a light shone, the reflection of the moon. It was a bright shining, like gold. The moon was hidden in the clouds, yet she was able to send her rays down upon the waters. Isaiah spoke of Jesus Christ. He is a child born of a virgin in reference to his human nature, yet He is a son given, in reference to His divine nature. As a child he was born, but as a Son He was given. The name the prophet Isaiah saw first was ‏פֶּלֶא‎ pele, a masculine noun meaning a wonder, a miracle, a marvel. This word is used to represent something unusual or extraordinary. God the Father never gave his Son a name which he did not deserve. There is no exaggeration, no flattery here. Now we can have two or three interpretations here. You could call Jesus “marvelous”. The Shepherds marveled at Him, the Wise Men marveled at Him, Mary marveled at Him, the priests marveled at him at the age of 12, the crowds marveled at Him, even the Roman soldier marveled at Him upon the cross. Jesus is more than a man, he is God’s highest miracle. He is God in flesh, He is God incarnate. He is the Savior of all mankind wrapped in swaddling clothes. He is the Fountain of Living Water drinking at Mary’s breast. He is the creator of the universe learning to be a carpenter at Joseph’s side. He is the bread of life feeding the five thousand. He is the source of life raising Lazarus from the dead. Great is the mystery of godliness, and Jesus was God manifested in human flesh. Christ is distinguished above all men; he is anointed with the oil of gladness above his fellows, and in his character, and in his acts he is infinitely separated from all comparison with any of the sons of men. “Thou art fairer than the children of men; grace is poured into thy lips.” He is “the chief among ten thousand and altogether lovely.” He is the rose of Sharon, the bright and morning star. However, I want to call Him Wonderful! Let’s focus on how wonderful this Jesus Is. 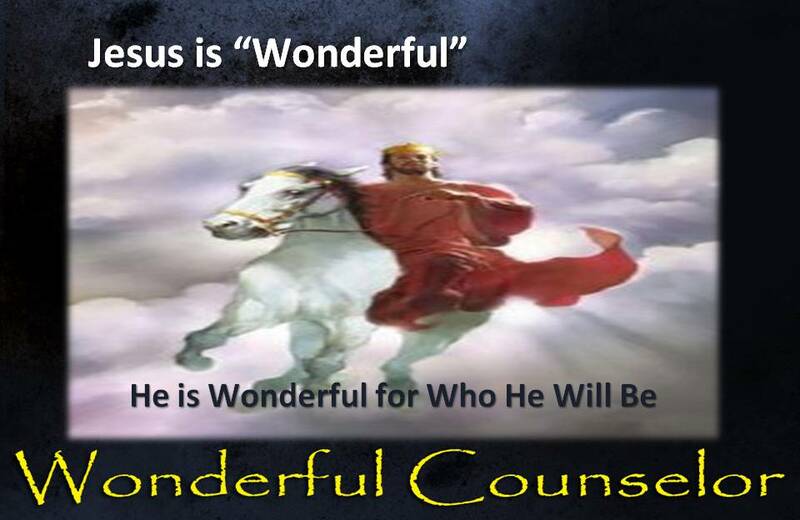 Jesus Deserves to be Called Wonderful for Who He Was. He and His Father are one, co-equal in substance and attributes. He is “very God of very God”. He who became an infant was long ago King of the Ages, Lord of Lords. Before Jesus was wrapped in swaddling clothes He had been clothed in Priestley garment. Jesus had walked this earth as Melchizedek, the Priest King of Salem, whom Abraham had offered his sacrifice to. Before Jesus had faced the fire of the temple soldier’s torches, he had walked in the fire of the fiery furnace, so hot that it had killed the soldier’s casting in Shadrach Meshach and Abednego. Before Jesus told Peter that upon the Rock of His Confession Jesus would build His church, Jesus had already followed the Jews in the wilderness, providing water for them as the Rock of Waters. And while someday Jesus will descend from Heaven riding on that white horse to battle the rebellious nations, He has already appeared to Joshua as the captain of the Lord’s Army, to wage war with the evil nations in Canaan. 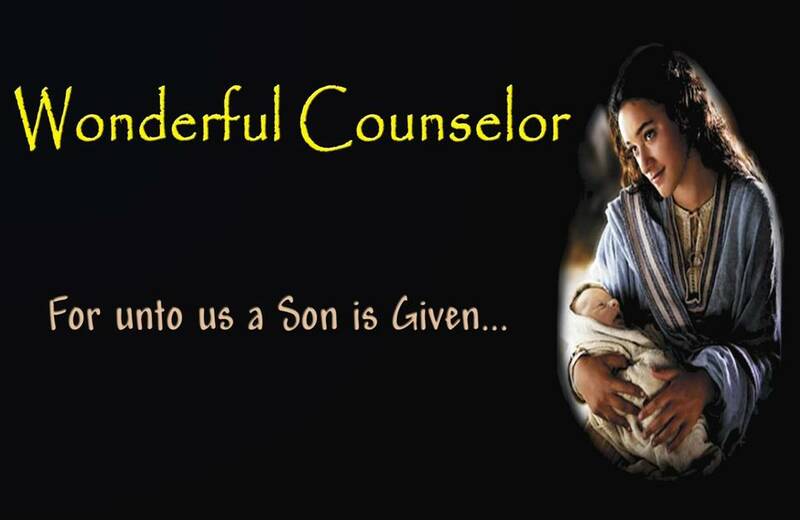 Jesus has been wonderful throughout the ages, long before He appeared clothed in flesh. The angel came to Manoah to tell him he was going to have a son, who was Samson; and Manoah said to the angel, “What is your name, so that, when your words come true, we may honor you?” (Judges 13:17). And the angel said to him (v. 18), “Why do you ask my name, seeing it is wonderful?” There’s the word “pele”. Some of your translations will say “beyond understanding” or “secret.” It’s the same root word meaning wonderful. Jesus’ name has been Wonderful throughout time. This God-Man, this Jesus clothed himself in worthless human flesh, and endured the weakness, the prison of this sinful flesh. He set His face toward Golgotha, and willingly submitted himself to the horrors of torture and crucifixion. Is He not Wonderful for what He endured on our behalf? You have ever before you the picture of the King of Heaven becoming a poor, despised, persecuted slandered man on your behalf. He suffered such for your sake. Do you praise His name? Do you love Him for His great love. Do you bow in awe at such a wonderful Savior? Praise God that He did not allow His Holy One to see corruption. Praise God that Jesus led captivity captive and ascended to His throne in heaven, whereby He has given gifts to all those who believe in Him. 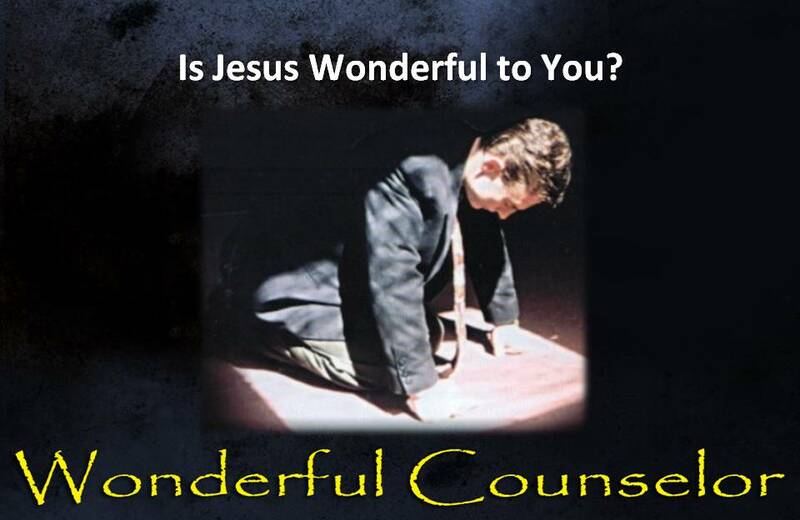 Is He wonderful to You? I stood up and Jesus led me to the cross, and then he vanished from my sight. But he appeared again, hanging upon that cross. I looked upon Him as he bled and suffered upon that tree. His loving eyes looked into my heart and in a moment, gazing upon His eyes, the bruises that my soul had suffered were healed. The gaping wounds were cured, the broken bones rejoiced; the rags that had all covered me were removed, and now I was clothed in a spotless garment of pure white. There was a song in my heart, for I was saved, washed, cleansed, forgiven, through Him that hung upon that tree. I wondered how such a one could love even me, how the Savior of the world could forgive me and make my soul like the surface of a quiet river, undisturbed, quiet and at ease. 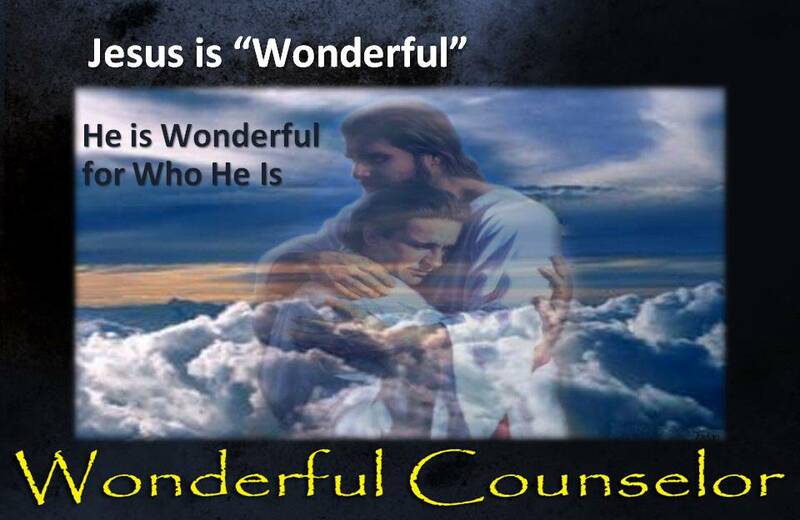 His name was to my spirit “Wonderful” Brothers and sisters, if you have felt this, think anew upon what Jesus did for you, and allow your heart to know His Wonder, allow your spirit to call Him wonderful! 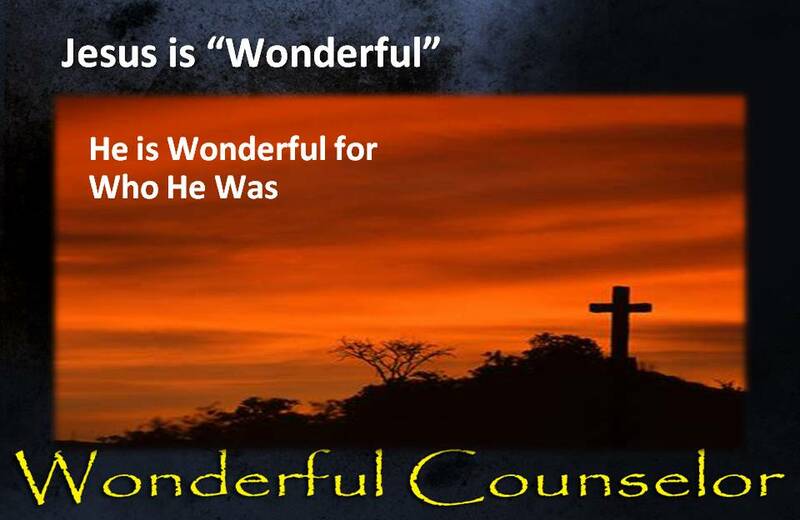 Has He Not Continued to be Wonderful to You? Has he been with you in sadness, in sickness, in sorrow? Have you ever had your heart ripped out of you, only to sense Him picking it up and gently placing it back where it belongs. And then He takes you in His arms and gives you peace. Have you ever had a trial or pressure so great that it seemed ready to crush you, and yet at the point when it seemed all was over, you could sense the hand of Jesus picking you up and feeling as if you were soaring to heaven. When my heart was ripped out and every dream crushed in my third year of Bible College. When I wanted to give up on following God and turn back to the world, Jesus came to me in my little prayer closet and wrapped His arms around me, and though I cried for two hours straight; when I stepped out I knew He was with me, that He was and is Wonderful to me. Through many other heartaches in my life, whether because of my own rebellion or through the meanness of others, Jesus has continued to shine His light upon my path and continued to be Wonderful beyond any human comprehension. He uses the troubles and pressures off our lives to turn ugly clumps of coal into beautiful shiny diamonds. We are His precious jewels. You will never know the Wonder of Jesus unless you see Him from the depths of the deep places of life. Zechariah 9:16 (NIV) The LORD their God will save them on that day as the flock of his people. They will sparkle in his land like jewels in a crown. Pharaoh led his hosts into the midst of the Red Sea. The path was dry and they outnumbered the Jews. Victory was easily within their grasp. The wall of water shimmered on each side of the army, and yet was a stiff as marble. Can you imagine their astonishment when they saw those walls of water come crashing upon them? Can you hear their screams as the judgment of God fell upon them? If you are a scoffer of Christ, one who refuses to call Him wonderful, Such will be your astonishment, such will be your scream, when Christ shall come in the glory of His Father, with all the host of heaven. Sad will be that day when the Christ, whom you despise, whom you deny to be your Savior, whose Bible you left unread, whose Gospel you rejected, will suddenly appear and you will behold and wonder and perish. You will see too late that He indeed is Wonderful. Come Judas, give Him one last kiss. No, I knew not the wonder of whom I kissed! Look He is the everlasting God! Come Herod, laugh at this Jesus one more time! No, for I knew not the wonder of whom I mocked! Look, He is the Everlasting King! Come Caiaphas, curse at this Jesus one last time! NO for I knew not the wonder of whom I cursed. Look He is the Messiah! Judgment Day is Coming, when the Lamb that was slain will judge the nations and peoples both dead and living. Do you hear it? It is the worship of saints around the throne. Do ye hear them? It is all song, and no shriek. Do ye see them? It is all joy, and no terror. His name to them is Wonderful; It is the wonder of admiration, the wonder of ecstasy, the wonder of affection, and not the wonder of horror and dismay. Saints of the Lord! We shall know the wonders of his name, when we shall see him as he is, and shall be like him in the day of his appearing. Charles Spurgeon, was a great preacher in the 19th century in England. At that time he was probably the most popular preacher in England, and the people kept coming from everywhere to hear him preach, particularly the working-class people. They loved to hear Spurgeon preach. At one point his church had outgrown one facility after another, so they rented a kind of theater. It was called The Surrey Music Hall. It seated 12-15,000 people, and in October of 1856, Spurgeon preached in this rented facility for the first time.The music hall was packed to capacity, and apparently there were thousands more outside who couldn’t get a seat inside the auditorium. As the service started, someone yelled “Fire!” and pandemonium broke out. Seven people were killed in what resulted, and many people were injured. The whole experience deeply affected Charles Spurgeon, as you might imagine, for all of his life. It really just took the life out of him. Nearly two years after that event, he spoke about what he had been through and how God had restored him. Here’s what he said: I may not have told in your hearing the story of my own woe. Perhaps never a soul went so near the burning furnace of insanity and yet came away unharmed. I have walked by that fire until these locks seem to be crisp with the heat thereof. My brain was racked. I dared not look up to God, and prayer that was once my solace caused me fear and terror if I attempted it. He went into a deep depression following this accident. He said, I shall never forget the time when I first became restored to myself. It was in the garden of a friend. I was walking, solitary and alone. Musing upon my misery, much cheered as that was by the kindness of my loving friend, yet far too heavy for my soul to bear, when suddenly the name of Jesus flashed through my mind. The person of Christ seemed visible to me. I stood still. The burning lava of my soul was cooled. My agonies were hushed. I bowed myself there, and a garden that had seemed a Gethsemane became to me a paradise. And then it seems so strange to me that naught should have brought me back but that name of Jesus. I thought indeed at that time that I should love him better all days of my life. But there were two things I wondered at. I wondered that He should be so good to me, and I wondered more that I should have been so ungrateful to Him. But His name has been, from that time, Wonderful to me.